With the face of SEO constantly evolving, machine learning has become a huge concern for internet marketers. An exciting post on the Moz blog about machine learning persuaded me to dig deeper into it. Eric Enge very clearly explained how machine learning works and ways Google may be using it. Google has been dominating the search engine world for decades, but this new concept may spark a complete overhaul to Google’s spam-fighting algorithm updates. Internet marketers will have to adapt the best SEO practices according to this latest development. When you’re not familiar with it, the term “machine learning” sounds formidable. According to Stanford University, machine learning is the science of using computers that haven’t been explicitly programmed. In addition to creating a more effective web search, it has contributed to numerous scientific endeavors, including self-driving cars and practical speech recognition. Machine learning will significantly impact search engine algorithms and change the best SEO practices. Manual algorithm updates will no longer be necessary. The Penguin and Panda updates use machine learning codes that help identify a set of data, which is hard to implement by any other coding language. This makes the system more result-oriented and systematic. All future updates will be easier to channelize and exercise. The manual updates have been effective in preventing fraudulent search results and rankings. But Google seems to be putting a lot of effort into minimizing the human element. Google announced in November 2015 that it will be open-sourcing its artificial intelligence engine, TensorFlow. The system will simplify loads of research work and enable computers to predict user behavior much more accurately. TensorFlow is expected to help developers in coming up with applications that will revolutionize the SEO world. According to Eric’s Moz post cited above, the Google Panda and Penguin updates work on machine learning. They’re solving complex problems, such as identifying websites with a focus on exact match anchor text, finding sites linked with PNBs, determining low-quality link profile, and more. Google is placing a high importance on user satisfaction. 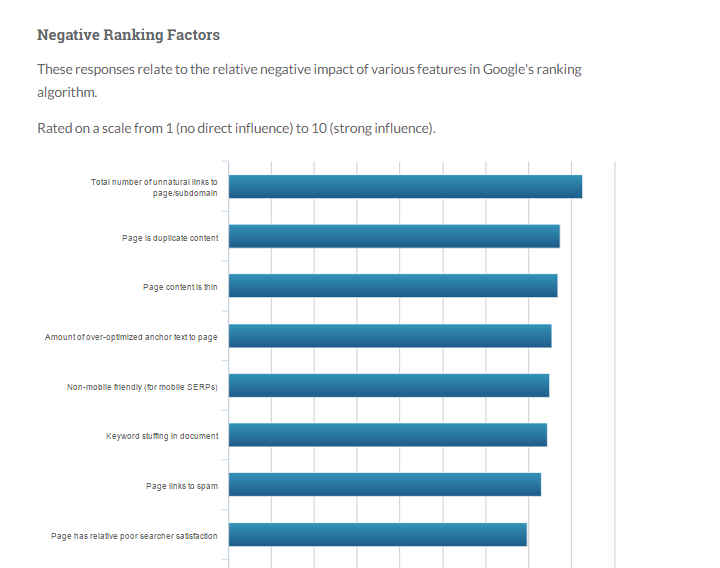 Now user satisfaction and content quality are treated as top SEO ranking factors. How will you prepare for these changes as an internet marketer? What can you do to adapt your best SEO practices according to these developments in machine learning? Here, I’ve listed a few proven tips to help you out. Link building has been one of the hottest topics in the SEO world ever since Google released its Penguin algorithm in 2012. The algorithm has been updated every once in a while, thus making it much more complicated to successfully build links. Penguin keeps a close eye on the link building activities of websites to locate and penalize anyone who buys links. As a result of this algorithm, many marketers may feel that link building has become obsolete. In fact, the concept has evolved to a much higher level. That means you can capitalize on it. The idea is to identify targets for building brands instead of just links. Focus on finding link markets that won’t just attract search engines but also drive traffic to your website. In the era of machine learning, you should follow the best SEO practices mentioned below to build natural links. Aim to get more brand mentions on social media channels. This requires engaging more with your audience through contests, events, giveaways, etc. Start an outreach campaign involving guest posts on authority sites. Make sure your author bio has links (mostly branded) to your website or blog. Select the right anchor text to make your link profile natural. Use videos to build links through networks like Vimeo and YouTube. Include a link in your video description so that users can directly access your site when they come across your video. The skyscraper technique is another of the best SEO practices to build links. It consists of finding a good linkable asset relevant to your niche before building something better on that. You can then send this update to people who are already linking to that content to give them a fresh perspective. Visual content is much easier and more enjoyable to process than text. Creating infographics or podcasts could also be a great way to build natural links. Next, reach out to bloggers and get them to share the visuals you have posted for quality backlinks. With machine learning, it has become easier for Google to identify spam links. So you should focus on earning quality links for your website. Local search index has become a highly important part of Google’s ranking algorithm. Therefore, it’s also one of today’s best SEO practices. If you want to optimize your site for local searches, you should focus on citations that include your name, physical address, and phone number. The search engine has reinvented its local search so that real businesses are displayed prominently. 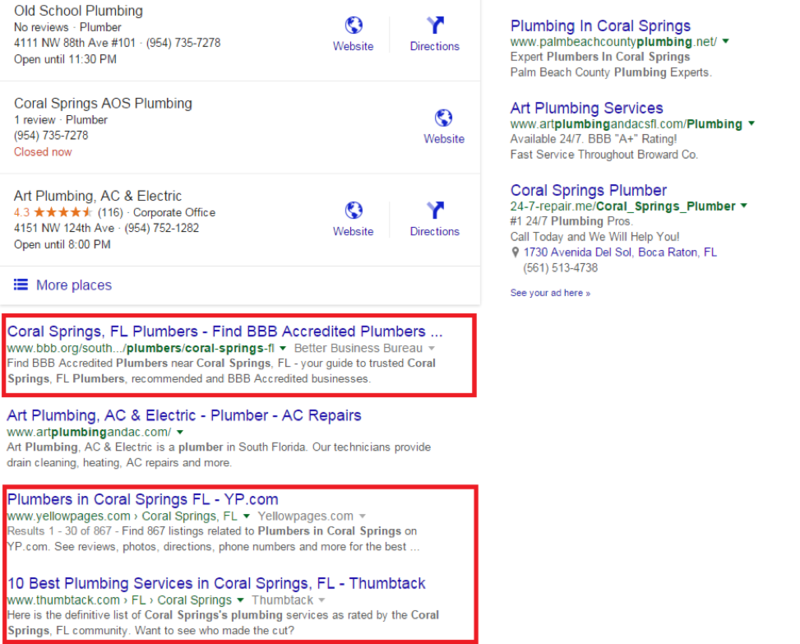 Check out the image below of Google search results. Notice how the top three businesses are featured on the first page instead of the usual top seven. Register with Google Business and provide your business information to get listed. Try to look for websites that provide citations for your business with your brand name, address, and phone number. You’ll then need to build links to those citations for a better chance at improving your local search ranking. Google recently made an announcement about an algorithm known as RankBrain. This AI will be making a huge difference in the content marketing world. The algorithm attempts to understand website content and its value to users. It’ll essentially eliminate the idea of keyword density and its usage in content marketing. Curate your content neatly into categories so that users can easily access relevant content and engage with it. Keyword research is still a crucial step in content marketing. Analyze your competitors and Google Trends data to find the best search engine phrases. Grow your network by building relationships with influential bloggers and website owners in your niche or related industries. Use platforms like SlideShare and YouTube to promote branded content. It is important that you align your content strategy with the latest developments in the role of machine learning in SEO. With machine learning, end user data will be even more important. Google is likely to evaluate the quality and relevance of your content based on user intent. If the users/readers didn’t find your content useful or relevant to their search intent, it can negatively affect your search rankings. Machine learning helps Google understand what users find useful and enables the search engine to rank websites more effectively. You need to create content that is high-quality, useful, relevant, and meets user intent. If your content engages the audience, you can easily dominate the SERPs. Since Google introduced its Hummingbird algorithm in 2013, conversational search has significantly impacted the best SEO practices. Conversational search gives users the option to search over voice. The algorithm enables Google to provide search results based on all the terms and phrases a person speaks for their search query. Before machine learning takes over the SEO world entirely, you need to start considering the conversational search element in your analysis. With this new algorithm, users can speak to Google like they would a friend rather than throw together a bunch of keyword search terms. This means there’s a chance for you to rank in long-tailed keyword searches. 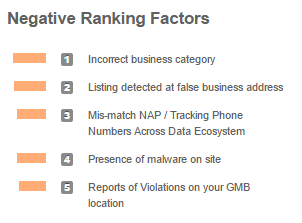 The Moz search ranking factors cited earlier also show the significance of having a good link profile. 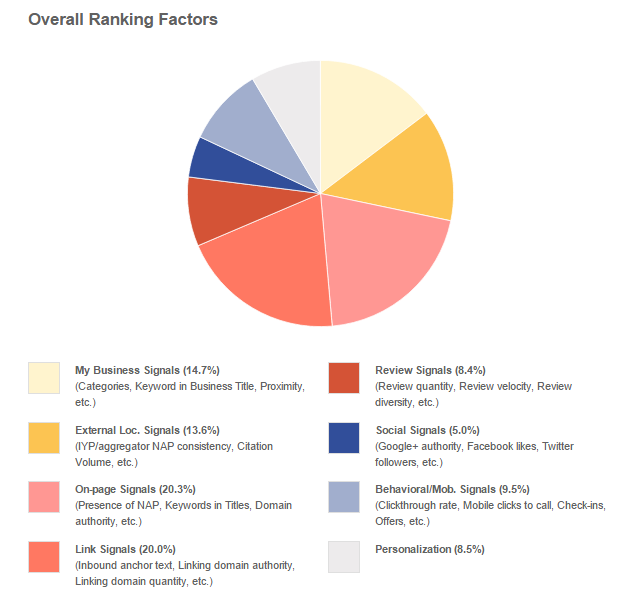 Link signals are the second most important ranking factor according to the research. The link signals refer to the quality of inbound anchor texts and the authority of the linking domain. For the best SEO practices, you’ll need to keep a close eye on what kind of websites are linking to you and on which articles. Conduct a thorough link evaluation to identify the quality of your link profile. You can do this by setting up a Google Webmaster account. Here you can find out all the websites linking to you. Then take advantage of handy tools from Moz or Alexa Rank to find out the domain and page authority of these sites. If you find any spammy websites linking to you, Google gives you the option to disavow bad links. This is basically a method of telling the search engine that you don’t want anything to do with that particular website. The importance of a responsive website design cannot be stressed enough when talking about the best SEO practices. Mobile responsiveness is one of Google’s most important ranking factors. According to Moz, being non-mobile friendly will have a strong negative influence on your site ranking. A case study by Volume Nine shows how one client immediately experienced a huge boost in traffic after adopting a responsive design. In fact, the number of organic sessions increased to 142,804 in just one month. That’s a whopping increase of 8,753.3%. Google always emphasizes the importance of a good user experience. AI and machine learning further focus on taking user experience to the next level. If you want to improve SEO in this era of machine learning, focus on delivering a good user experience to your website visitors. Aim for a clean and simple website design. Provide easy navigation with proper menus, categories, links, and highlighted calls-to-action. Use high-quality, impressive images that can attract visitors. Choose the right fonts and font sizes to make sure the text is easily readable across devices. Test different elements of your website design to identify which design works best for your visitors. Providing a better user experience with a responsive website design will help you elevate your SEO game in the era of machine learning. It is all about prioritizing user experience now. Machine learning is expected to bring about numerous changes to the world of SEO. The motive behind Google’s use of machine learning is to solve complex problems that come with identifying and reducing spam. This will eventually help bring more quality results to users. But it makes it crucial for you to re-analyze your SEO efforts. Adapting best SEO practices according to Google’s standards can help you snag the top position in search results. If you’re struggling to identify the best SEO practices for your business, contact me now to get the most effective SEO service or book a free 30-minute consultation. Machine learning is crucial. Google is slowly moving towards smart algorithm. It is good that SEO is changing for a good. Smart website with schema, responsive designs, maps, infographics, video etc are overtaking thin content websites. Perhaps, this is what we as a marketer and consumer want.